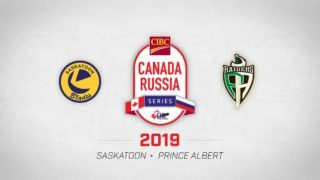 Saskatoon, SK – Two members of the Saskatoon Blades will be representing Team Canada next week at the Hlinka-Gretzky Cup in Alberta. 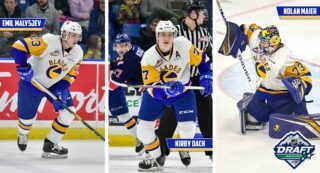 Kirby Dach and Nolan Maier earned a roster spot after a strong showing earlier this week at Hockey Canada’s selection camp in Calgary, Alberta. 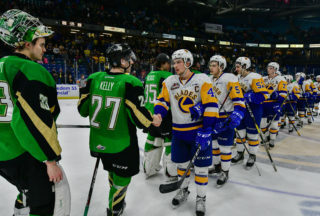 The Saskatoon Blades are the only team in the WHL to have two players on Canada’s roster, with the Halifax Mooseheads being the only other team in the CHL to have two representatives. 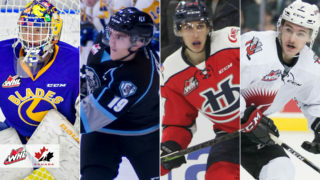 It also marks the first time a member of the Saskatoon Blades has represented Canada at the Ivan Hlinka Memorial Tournament since Duncan Siemens won gold with Canada in 2010. Nolan Maier (Yorkton, SK) is one of two goaltenders on the squad while Kirby Dach (Fort Saskatchewan, AB) joins a group of 13 forwards. Both Dach and Maier will get a chance to familiarize themselves with Blades’ new head coach, Mitch Love, who will be serving as an assistant coach with Team Canada. Dach and Maier both suited up for Canada Black at the World U17 Challenge in 2017, but came up short in the hunt for a medal. Dach scored 7 points in 5 games at the U17 tournament while Maier posted a .917SV% in three starts at the same event. As for Mitch Love, the international stage isn’t new territory for Saskatoon’s new bench boss. Love served as a guest coach at Canada’s National Men’s Summer Under-18 Team selection camp. He was an assistant coach with Team Canada Red at the 2016 World Under-17 Hockey Challenge, and added a gold medal with Team Canada White in 2015. 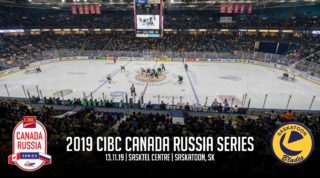 Canada is slated to play one pre-tournament game in Red Deer on Saturday against Czech Republic at 7:00pm at the Servus Arena. The first tournament game for Canada goes on Monday, August 6th, at 7:00pm at Rogers Place in Edmonton.